Janet Jackson is ready to grieve out loud. The music superstar has publicly mourned her late father, Joe Jackson, for the first time. Janet shared a touching throwback photo of herself with the famous family’s patriarch on Tuesday, using just a simple heart emoji as her caption. 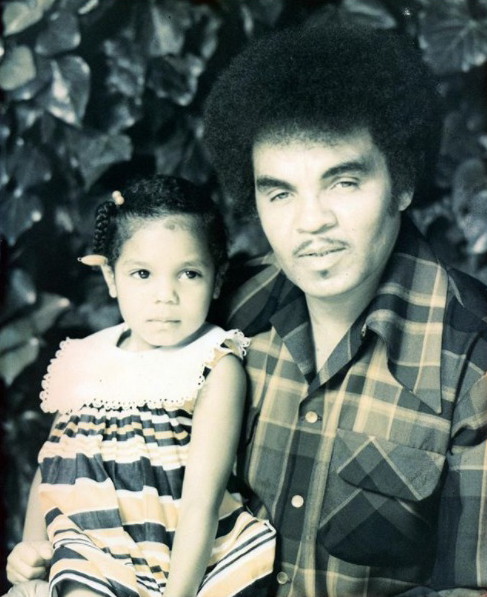 A young Janet is pictured sitting on her dad’s lap in the black-and-white shot, which she posted to her Instagram and Twitter pages. Joe was buried on Monday at Forest Lawn Memorial Park in Glendale, Calif., according to the AP. It’s the same resting place as his pop icon son, Michael, who died in 2009. Janet was present for the private service along with other loved ones, TMZ reported. Plans for a public memorial are said to be underway. Joe passed away in Las Vegas last week at age 89. He is survived by his wife Katherine, eight children and many grandchildren, including breakout star Paris Jackson. The 20-year-old honored her grandfather with a heartfelt Instagram tribute shortly after news of his death broke. Calling Joe “The HAWK,” Paris commemorated his iconic legacy as “the first true Jackson” while also sharing gratitude for being able to say goodbye. “Spending those last few moments with you were everything,” she wrote in part.